Villa designed on detail for your quality holidays. 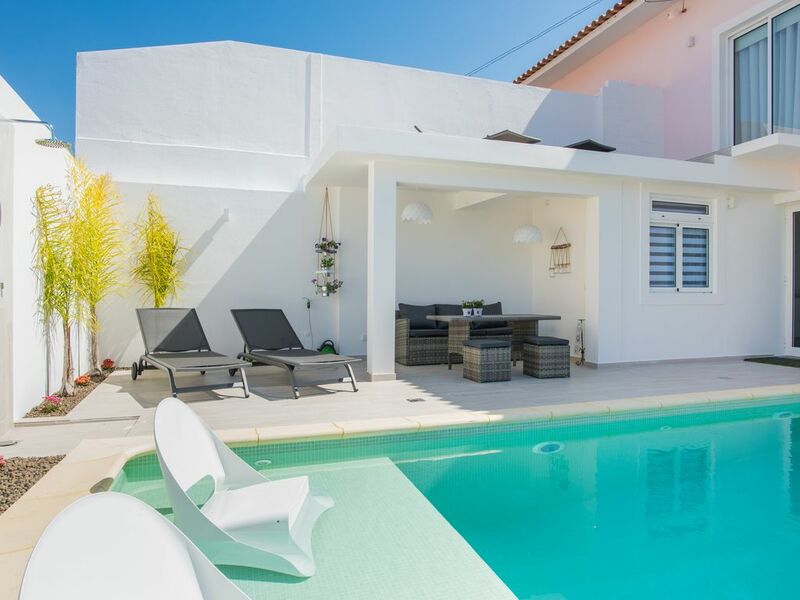 Provides a beautiful pool with great sun exposure, garden, terrace and private garage. At 5 minutes walk from the municipal square. There's a mural in the living room painted by the argentine artist Marcos Milewski about the endemic flora of Madeira Island. That's also the theme of the villa. We can provide you transfer ou car rental. Just let us now and we will do everything to please you. We will also receive you with a welcome basket with regional products. We'll be waiting for your visit! Hi! I'm a primary school teacher but I also love to be a host. I really love to prepare the better for my guests. The theme of the villa is Endemics Flower of the Island. There's a mural in the living room painted by the Argentine artist Marcos Milewski. We can also provide car rental service, transfer or chauffeur. The pool can also be heated. These are services with an extra charge. Please contact us. Prachtige en complete villa. Schoon en nog mooier als op de foto's!